Are y’all ready for this? I don’t blog about movies much anymore because there are so many review sites that say it all better and faster than I do, but I am bursting at the seams with Mamma Mia 2 thoughts after seeing it, so here we are. Let me start by saying that Mamma Mia is my favourite musical. I’ve seen it on stage twice and on screen upwards of ten times. So it’s special, and for that reason, I was both excited and terrified for Mamma Mia: Here We Go Again. Overall, I thought this sequel/prequel was good! It was fun and emotional and cute and did a good job telling more of the story. Sure, there were parts that were a little cheesy, but they weren’t too weird, and if any movie’s sequel can do cheese well, it’s Mamma Mia‘s. I’m glad they mixed in new songs, old songs, and Mamma Mia stage songs that the first movie didn’t use. It was a good mix, and the old songs were arranged differently so they, for the most part, didn’t feel like the same songs again. But why wasn’t ‘Under Attack’ used????? It’s such a good song and I am sad it got passed over yet again. Either way, I’ll be listening to this soundtrack on repeat at work tomorrow, and I can’t wait. But opening with a song about kissing a teacher was….a bit weird. Was anyone else a little weirded out? I’m glad they told us right away what’s up with Donna. The trailer hinted at death, but we weren’t sure, and I really wouldn’t have wanted to spend the whole movie guessing. But part of me wants to know how she died while the other part of me is very content not knowing. The casting for the young versions of the characters was SO GOOD. Especially for the ladies. But are you seriously telling me that Donna, Rosie, and Tanya didn’t change their hairstyles in 30 years? I SOBBED during that last song. Most of the theater did too. Haven’t had a good cry like that in a while. Obviously, I knew Meryl Streep would show up eventually, but I think the way they did it, at the end and at such a special moment, was well done. But I also wanted more Meryl. I always want more Meryl. The theater was filled with moms and daughters, which was so cute. I also went with my mom, my best friend, and my best friend’s mom. The movie was funny! I got some good laughs, and the humor didn’t consume the movie. It was on par with the first movie, I think. Cher…..yikes. Her singing was alright, but her acting was not good, and she really shouldn’t have gotten such a focus at the end of the movie. I don’t care about her. The movie did a pretty good job paralleling Donna’s life with Sophie’s, but there were times where I kind of wished the movie just stuck with one of them. I didn’t hate Pierce Brosnan’s singing in Mamma Mia, but I’m glad they kept his singing in Here We Go Again to a minimum. That being said, I’m also glad they didn’t autotune him. I think it’d be weirder if he suddenly had a wonderful voice. I like how that old lady, Sophia, was introduced and played a big role. Her existence was such a throwaway line in the first movie, so it was cool to meet her and see her importance to Donna. I love every character very much. Okay, so I know Donna had to sleep with the three guys because that’s the whole point so we knew it was coming, but I don’t think it was written well. There wasn’t a lot of chemistry and because it was all so sudden, we didn’t get a chance to enjoy any of them as a character. Plus, the set up for the hookups were so awkward. Harry straight up asked if she’d sleep with him, and when she said no, he said he was a virgin, sang a song, and next thing you know, they were in bed together. Bill basically did the same only they parted before anything could happen. When he shows up again, he’s an immediate rebound, and even then it’s weird because she was trying to hint that she wanted to sleep with him while saying she didn’t. And then with Sam, he helped her calm a horse and then she basically asked him to live with her on the island she JUST got to. All I’m saying here is I think all three relationships were poorly written and needed a lot more attraction and suaveness to make me believe. I wish the grown versions of Harry, Bill, and Sam had a bigger role. Harry and Bill just kind of showed up at the end. But it was so cute seeing Sophie and Sam together, dealing with their loss and looking forward. Did anyone else find young Donna a little entitled? Like, she saw Bill with his boat and was like “take me where I need to go,” and there wasn’t really a sense of gratitude when he did. That bit with Harry tying himself up was odd. I didn’t get it. What did Sophie and Sky name their son? I need to know. When Harry and Bill were doing that Titanic thing….my heart grew like four sizes. I loved seeing Sophie be part of the Dynamos. Small plot hole: didn’t Donna steal Harry’s guitar? Where was the Headbanger backstory? Where were Sophie’s friends during all this? Or that guy who was hitting in Tanya? Was Mamma Mia 2 as good as Mamma Mia? No. Sequels rarely are, and in this specific case, it’d be impossible to match that level of pure iconicity served to us in 2008. This sequel didn’t ruin the first movie, but it’s a fun addition to the story. Honestly, leaving the theater satisfied and happy was priceless. Go watch Mamma Mia: Here We Go Again but bring tissues and enjoy every cheesy, entertaining, musical second. So those are most of my thoughts. A few more will almost definitely come to me later on (and maybe I’ll bother Twitter with those then), but the above sums up my movie-going experience and post-viewing thoughts. If you’ve seen the movie, please talk to me about it. If you haven’t, why did you read this post? Go watch it now. What Makes A Good Remake (Or Adaptation)? In this age of remakes and reboots, it’s kind of interesting to see which ones fail and succeed and why. If they all failed, then I’d think Hollywood would let up on them, but we’re several years into this trend, and it shows no signs of stopping, so something must be going right. I used to think it was just that a lot of these reboots and remakes invoked a sense of nostalgia in viewers, and while I think that’s still true, I’m now also seeing all these remakes and reboots and adaptations as a chance to improve on the content. At least I hope that’s what these creators are trying to do. I think it’s the key. Take Legally Blonde, for example. Yes, the movie was amazing and iconic and unmatched, but the musical is really great too, and I think it’s for two reasons. One, amazing music, a key element of any musical. Two, they built up Emmett’s character so he had more of a role and therefore the relationship between him and Elle was “so much better” (hehe). They made the material stronger by going out of their way to improve on the characters. In the same way that just making a remake live-action doesn’t immediately make it better (eg. Cinderella in 2015) simply adding music isn’t always enough. Take the Elf musical. That was another amazing and iconic movie but nothing was changed in the musical, so I found it kind of boring. Sure some adaptations can thrive with little to no changes (the Waitress musical, for example) but personally, I find myself really looking for improvements when I consume remakes/reboots. Right now, the remake of Jumanji is in theaters and making a killing at the BO. What was changed in this version? New characters are sucked into a video game rather than a board game. I personally haven’t seen this new version, but I like this idea as it’s more modern and understandable, and clearly this concept and the production value seems to be good enough. Another example of a significant and overall accepted improvement is The Lizzie Bennet Diaries. Taking Elizabeth Bennet’s story and opinions and presenting them through the personal vlog format is genius and modern. Pemberley Digital, for all their flaws, was on to something wonderful. Spider-Man: Homecoming and Fargo are other examples of remakes that succeeded because they took what was great about the original and improved upon them. They aren’t just straight regurgitations of old stuff. But then there’s the new Heathers TV show coming this spring, and it seems doomed. 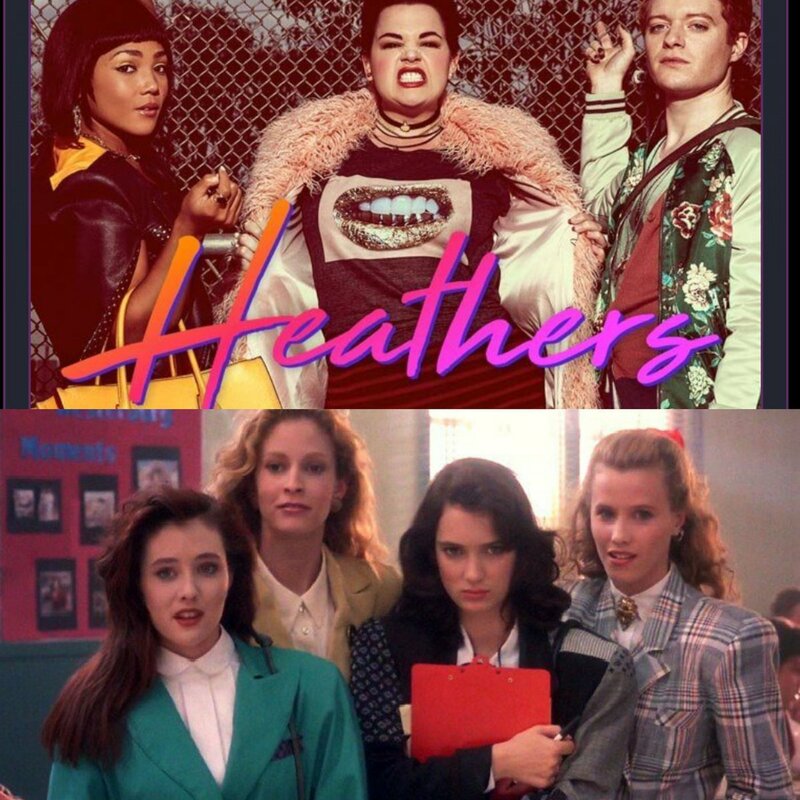 The Heathers movie isn’t a favourite of mine, nor is the musical (though the musical did have some dope songs and a slight added level of humour! ), but as the internet is pointing out, putting minority characters in things doesn’t always improve it, especially not when it goes against the point of the story. There’ll apparently be a minority spin on the upcoming Party Of Five remake too, so we’ll have to see if that’ll fare better. At least that one makes sense. I guess what I’m trying to say here is that the improvements and changes have to make sense and work with the material. Is something is better than nothing? Not always. Usually, but not always. As more and more remakes and reboots and adaptations are announced (daily, it seems), I just hope that society eventually stops just accepting whatever is thrown at us. There’s an American Idol reboot coming to ABC this spring and I’m really hoping it’ll bring something new to the table that the Fox version did not. I’m hoping that the upcoming Mary Poppins movie surprises us. I’m hoping that if Hollywood is insisting on giving us all these reboots and remakes and adaptations that they’re done well and they use the chance to really entertain us. What are your thoughts on the subject? What’s one remake/adaptation that you enjoyed or hated? Sometimes when I do opinion posts like these I’m half joking or I’m willing to hear from the other side. But this is not like those times. If you don’t agree with me on this, please send me your address so I can come to your house and fight you. So. The Grinch. Dr Seuss’s classic tale about grumpiness and the magic of Christmas. It’s a favourite of mine. The Grinch never scared me. Here’s a Grinch plush I got a kid. See how he’s all worn? That’s love. The book How The Grinch Stole Christmas was published in the 1957 and became a made-for-TV short in 1966. It’s twenty minutes long and you can definitely find it on TV this month or the Internet year-round. Though the animation is nothing compared to the hyperrealistic stuff we have now, it’s pretty good for its time and very colourful. The short is nothing special, really, but it’s perfect. A nice narrator recites the book and the characters (meaning the Grinch and Cindy Lou Who) give a few lines of dialogue, and in the middle there’s the iconic song ‘You’re A Mean One, Mr. Grinch’. It’s not too long so nothing drags on. The whole thing is fun and enjoyable without being cheesy or unnecessary. But you know what is unnecessary? The live-action Grinch movie from 2000. A friend and I rewatched it a few weeks ago just to make sure my long-time hate for this movie stands, and it does. Jim Carrey is not my favourite actor by any means, but I will say that he plays this role mildly well, all things considered. It’s not his fault the writing was awful and consequently ruined every good aspect of the book and 1966 film. 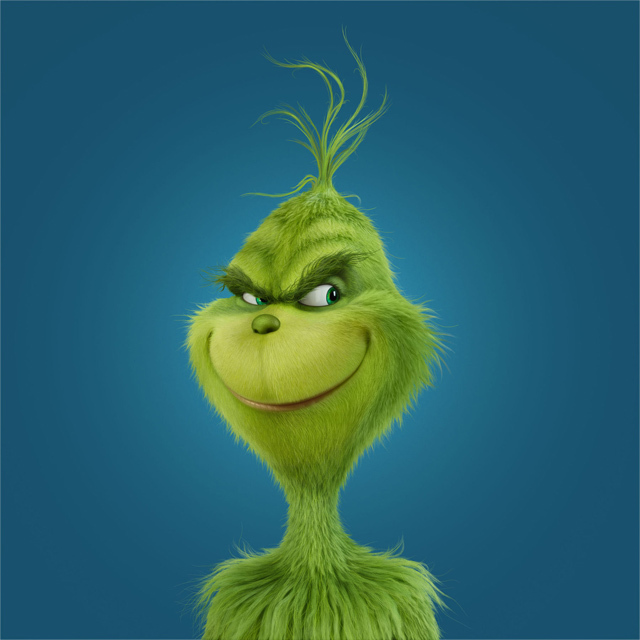 One thing that made the Grinch so interesting is that he was grinchy for no reason, and I loved that he could be a villainous character for no reason. He hated the Whos and he hated Christmas, but he learned the true meaning at the end. 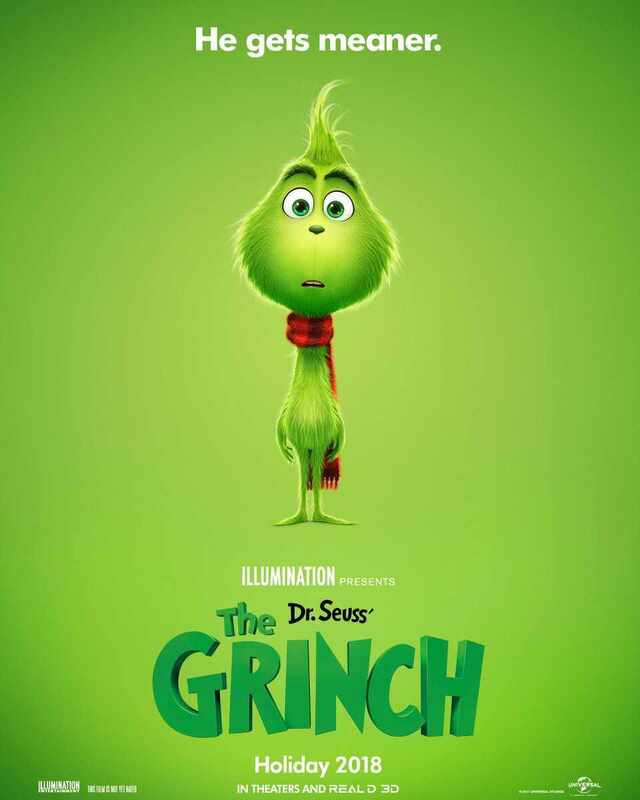 But the live-action movie had to stretch this to a full-length film and therefore gave us a bunch of unnecessary nonsense including but limited to a silly tragic backstory for the Grinch, Cindy being extra annoying and bothersome, the Whos being overdramatic and weird, and the Grinch trying to be too quirky and funny. The movie no longer is about the Grinch’s plan to steal Christmas, but Cindy’s weird desire to include the reclusive Grinch in the town’s festivities. All in all, the live-action movie and its extra layers ruined the simple and classic story that was perfectly given to mankind in the 1966 version. The live-action version is not funnier, it’s not cuter, it’s not more powerful, it’s not more enjoyable at all. The only thing I will say is that it has better music, but even that isn’t much of a selling point. Every year I see people on social media get exciting about watching this movie and I die a little inside because, like, have these people not seen the animated version? Or do they just prefer mediocrity? I sound harsh, but I’m just really passionate about the Grinch. The animation is tolerable, but the cuteness of the first image means we’re probably in for another tragic backstory, and since this, too, will be a full-length film, goodness knows they’ll have time for nonsense like that and more. This Grinch will apparently be voiced by Bartholomew Cucumber Benedict Cumberbatch. I’m not ready for another generation of kids thinking that any of these new Grinches can compete with the 1966 version. Anyway, this concludes my Grinch rant. I hope I’ve inspired you to watch the 1966 version this holiday season, as it is superior and you will enjoy it. The end. P.P.S. Merry Christmas and/or Happy Holidays to all of you! Last week, I got an idea while talking with fellow blogger and friend Matt @ The Album. He’s always suggesting movies for me to watch, especially since I haven’t seen a lot of classics, so I had told him that the next time I had time to watch a movie, he could pick it. After asking Twitter for help and debating it for a while, he told me to watch Big. And I did. It was a pretty good movie. And then I got the idea. You know how there are these blind book swaps where people send their favourite book to someone random and they in turn get a book? Why isn’t that done with movies? We all have that one movie we just want to make everyone in the world watch, and with Netflix and all, you wouldn’t even need to send a physical DVD or give out your address or anything. And then I thought, I should try to organize one. In fact, I thought, this would be a great blogging thing because after you watch the movie, you can blog about it! I took the idea back to Matt and he loved it, so he’s going to help me out with this project. We worked on it all week and are really excited about it. So what do ya say? Does this sound like something you’d be interested in? I hope you’re thinking yes because we already have a submission form down below! Here’s how it’d work. The form consists of a few questions like your name, email (so I can contact you), and url (if you’re a blogger), and then it asks for three movie suggestions. The reason we ask for three is so there are back ups in case your recipient has already seen your first suggestion. As much as I want you all to share your favourite movies, chances are, most people have already seen Avengers, so that wouldn’t be a good suggestion. Try suggesting smaller, lesser-known, or older movies. If you don’t have Netflix or a library where you can borrow a DVD, don’t worry, I can hook you up with a movie streaming site. If you’re not a blogger and still want to join, that’s great! One of the questions asks if you blog and if you click No, then your recipient will be someone who also doesn’t blog. We want to keep bloggers together because bloggers like making connections and most of this blog’s readers are other bloggers. All the submissions will be randomly assigned to someone else. You’ll get sent someone’s movies but they probably won’t get yours. The submission form will be open until April 9th, so there’s plenty of time to share and get as many people to join. After that, I will email you with someone’s movie suggestions within a few days (hopefully) and you can get watching! The fun thing about this is there’s no obligation to watch anything. But I gotta say, there’s something fun about blindly watching some suggested movie, and even more so when you know that the suggested movie is someone’s favourite. We’re really excited about this and I hope you guys all join in! If you have questions or concerns, feel free to ask! Fantastic Beasts was really fantastic. Everyone’s going to say that but it’s true! I saw it last night. My Quidditch team got advance passes and since we got there super early we got to see it in IMAX (thanks Warner Bros!!!). I was so excited. I was also a bit nervous. I trust JK Rowling, but there was a split in the fandom when The Cursed Child came out (though I liked it) and I know people were apprehensive about a promise of five Beasts movies based off a book that didn’t even have a plot. But it really delivered. Obviously I’m not going to spoil anything but a general plot is that Newt Scamander, a British wizard, accidentally loses control of a bunch of magical creatures in New York sometime in the 1920’s. I like the 20’s and the fun, classy vibe so I was happy with this. The really cool thing is that it could have been a standalone movie. There were, of course, many fun references to Harry Potter and the magical world we know, but it really didn’t rely on it too much. And I liked that. It made it feel new and fresh. The new setting and the different kind of magic and terms removed the familiar Harry Potter aspect enough to rejuvenate the wonder. Harry Potter was largely about Harry and his life. Fantastic Beasts was about the magical world that we all want to know more about. The movie was really fun overall. That also made it stand out from the other Potter films (especially the last few as they were really dark the whole time). Fantastic Beasts had so many jokes and fun moments and cool visual effects all the way through and it was really enjoyable. The beasts themselves were really neat! The niffler was adorable and Picket the bowtruckle is the new baby Groot (can someone please draw me a picture of baby Groot and Picket dancing or something???) but I think there should have been at least one dragon. The more dragons the better. As for the cast, they were superb. Eddie Redmayne was amazing. He’s so likeable and adorable and that really carried over to Newt. The two girls in the movie were also great but Katherine Waterston (who played Tina) stood out. I really liked her and hope we see a lot more of her. As for the no-maj (or muggle) played by Dan Fogler, his role was very interesting. There wasn’t really a magic-less main character in the Potter movies, so I think us viewers really connected to Jacob. We want to be a part of the magic just like he was. I also wanted to mention Ezra Miller. I don’t want to give away anything but I’ve really only seen him in The Perks Of Being A Wallflower, and his character in Fantastic Beasts, Credence, was very, very different from the hilarious Patrick. I enjoyed his performance a lot though (despite the horrible haircut he was plagued with). I can’t wait to see him as the Flash! The plot was definitely interesting enough to make four more movies out of. I must say, I was a bit confused in the first half of the movie as to how the subplot with Credence tied to Newt’s story, but it was all revealed in the end and the set up for the future was captivating. I always appreciate movies that cover all ranges of emotion and Fantastic Beasts really did. The rule of thumb for this movie: when Eddie Redmayne cries, I cry. I also cried when it ended. I don’t know why. Well, I kind of do. I was just really feeling the magic, I think. Harry Potter has shaped so much of my life and I’m glad that this new series is reinstating a new feeling of awe and excitement and happiness that I didn’t really feel as a kid because I missed a lot of the movies in theaters. I don’t care that I’ll be thirty-something when the last Fantastic Beasts movie comes out. I’ll be packing up my future kid(s) and my future attractive husband and hitting up the nearest theater. It doesn’t matter what you may have thought about The Cursed Child, go see Fantastic Beasts if you want to experience the magic that we all fell in love with. It’s so good. Too good. I loved it. P.S. I was kind of sad my favourite fantastic beast from the book, the Chizpurfle, wasn’t in the movie. Next time, please! P.P.S. Last week a few Quidditch players and I went to the red carpet for this movie and though only the girls signed my poster (because we were unfortunately behind a pole! #bitter), it was still really cool to be within meters of the stars!